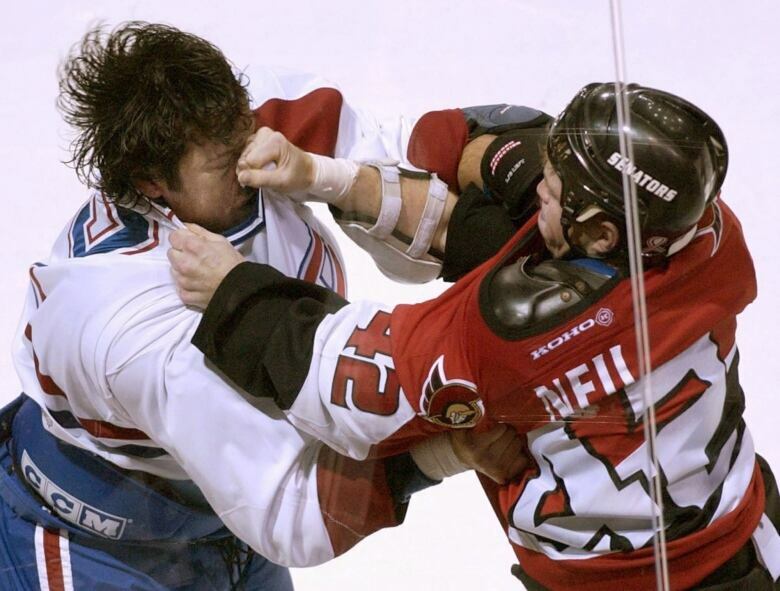 Longtime Ottawa Senators tough guy Chris Neil is retiring, the NHL team announced Thursday morning. The 38-year-old was a physical presence on the ice for 15 seasons and has a headlock on the team record for penalty minutes with 2,522. 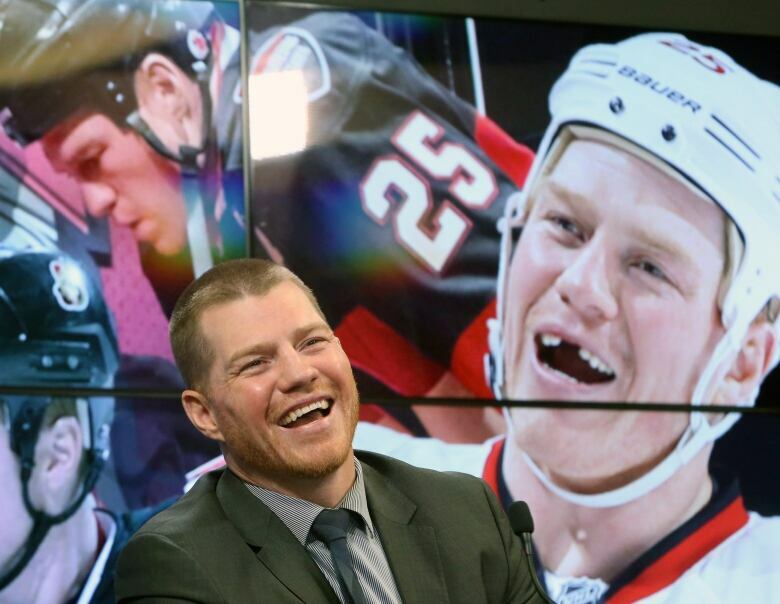 Longtime Ottawa Senators tough guy Chris Neil announced his NHL retirement at a Thursday morning news conference. Neil, 38, was drafted by the Sens in 1998, played his first NHL game in 2001 and spent his entire career with the team. The Markdale, Ont., native said he's spoiled and blessed to have played for the Senators and made Ottawa his home, saying he felt like an underdog his whole career. "Whenever the national anthems would be playing I'd be looking around the [arena] and know I had to put on a show every night for the fans.… I didn't want them to go away [disappointed]," he said. "They appreciate the hard work. I'm a blue-collar guy who shows up and works hard. I've never had the most skill, but I went in and worked hard game in and game out and did whatever I had to do to make the team win." The gritty forward was a physical presence on the ice for 15 seasons and has a headlock on the team record for penalty minutes with 2,522. The next-closest Sen? Retired defenceman Chris Phillips with 758. "He's going to be most remembered for leaving it out there every game," Phillips said. "He knew how to play his role. He learned quickly it was a team role, to pick his spots and give the team a spark or stick up for somebody. You knew if something happened and he was out there, he had your back." 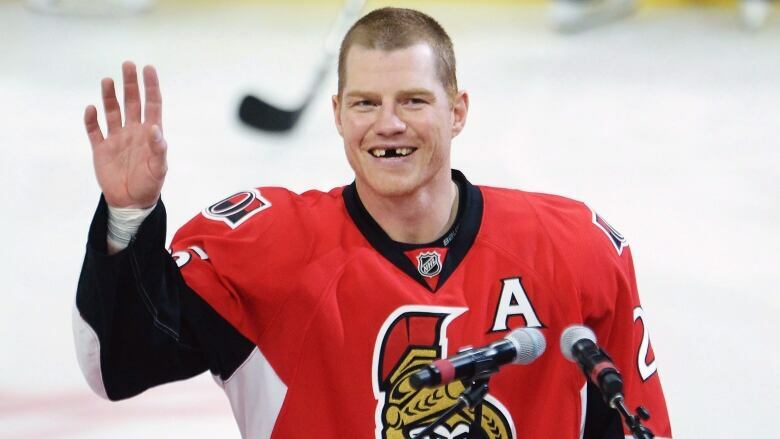 Only former captain Daniel Alfredsson and Phillips played more games for the Senators than Neil's 1,026. He also chipped in 112 goals and 250 points. Neil said Thursday his career highlight was the 2007 run to the Stanley Cup Final under coach Bryan Murray, who died earlier this year. "[Murray] had everyone going on all cylinders, it didn't matter if you played two minutes or 22 minutes … all those guys in the locker room would go through a wall for him," Neil said. General manager Pierre Dorion called him one of the greatest Senators of all time and definitely the toughest. It comes after Neil and the team parted ways in June in what Dorion then described as a "mutual decision" over Neil's ice time going forward. At the time, Dorion described the meeting as difficult but said there were no hard feelings. He added if Neil decided to retire, the Senators would welcome him back in some role. "However long he wants to play after that, I think as an organization we should always have the door open for Chris Neil," Dorion said in June. Neil did not sign with another team this season but reportedly declined a professional tryout with the Montreal Canadiens. "I got some offers from teams and it wasn't the right fit," he said. "I have been so spoiled playing here in Ottawa as a Senator my whole career, it just didn't feel right." He said Thursday he'll keep working with organizations such as Roger Neilson House for young people in palliative care and will participate in alumni activities around this weekend's NHL 100 Classic outdoor game. Jokingly, then perhaps a little more seriously, he said he's also interested in a broadcasting career. Neil played only 53 games last season, averaging seven minutes 34 seconds of ice time as new head coach Guy Boucher put his stamp on the team. On Thursday, Dorion said Ottawa wouldn't have won its second-round series against the New York Rangers last year without the spark from Neil in the two games he dressed.